Thank you so much for all your love and support over the years. As I sat down to compile these event descriptions the smiling faces of countless wonderful folks shone in my heart. I have often been asked about all the events that I offer and play at and here is my current list of Debbie Danbrook events! Mantras are wonderful, sacred sounds or words that can help us to keep our minds clear and our hearts open. My Mantra is "BREATHE IN LOVE, BREATHE OUT LIGHT". I have had this Mantra in my heart for years and years and it is one of my spiritual tools that helps to keep me both calm and centred and also fills my heart with joy! If you would like to create a personal mantra I would love to facilitate this with you. We will start with a Healing Music Meditation that will help to ground you, to clear and balance your chakras and energetic fields and will open your heart. We will craft the words that are the most healing and helpful for your spiritual journey and I will then compose a wee melody to "intertwingle" the words and music together. Please join me in person somewhere on my travels around the globe or from your home to my home in Toronto, Canada, by Skype. Music Meditations are Musical Journeys that help to connect us with the Spiritual Realms, with our Angels and our Spiritual Guides. When I offer a Music Meditation I open my Energetic Field and allow the Healing Frequencies of the music to flow out of my Heart. I feel grounded and connected to the Earth and at the same time completely aware of being in a Spiritual Dimension. My main instruments for these Healing Vibrational Offerings are with my Japanese Shakuhachi Flute and my voice. The Shakuhachi is actually a type of Zen practice called Suizen or blowing Zen and I am the first woman to have mastered this unique, spiritual tool. For me I feel that my voice is very pure and when I sing my whole body becomes a flute. I have offered these Music Meditations around the globe: at the Genocide Memorial in Rwanda; in Japan at many, many Temples but I also played in Nagoya 10 days after the Tsunami as the start of my fundraising efforts; at 2,000 year old Sacred Monuments in Palau; at many ancient tombs and Sacred Sites in Ireland and countless other locations. At these Meditations you are invited to sit or lie down on the floor with mats/blankets/pillows so that you can completely relax and allow the Healing Frequencies to move throughout your Energetic Field (Seating is also available). I offer these Music Meditations on a regular basis throughout Ontario and they are listed in this website under EVENTS. Sometimes I am on my own and sometimes I am joined by wonderful healing musician friends. I hope that you can join us at one of these Deeply Relaxing and Healing events. I love playing these Music Meditations, one of my favourite things! Every spring I host a small gathering in JAPAN (maximum of 3 people, 10 days long) to listen to Music Meditations under the Cherry Blossoms at my favourite Temples. We travel to my Temple in Ikoma, to Kyoto, Nara, Osaka and then either Kamakura or Ise, depending on the group. We experience Japanese culture in intimate surroundings and eat the best food in the world!!!! I love Japan! "Debbie's cherry blossom tour of Japan was marvelous, memorable, and magical - filled with Shakuhachi flute meditations under the cherry blossoms; a visit to Debbie's exquisite temple, Hozanji; a private traditional Japanese music concert; a tea ceremony in an intimate setting; visits to breathtaking temples; and much more. Arigato, Debbie, for an unforgettable adventure." I love offering these Healing Sessions. They help with grounding, help to clear and balance chakras and energetic fields and will help to open your Hearts and connect you with the Spiritual Realm. We start with a cup of tea and a chat. Each session is geared to the individual. I can teach the simple Breathing Technique that I use with my flute - this technique can also be used for everyday relaxation and as a tool for meditation. I can also teach some easy Chakra Clearing Techniques. I then offer a Music Meditation, a wee bconcertb for you, me and our Angels! These house and work sessions can be called Clearing Sessions, but I prefer to always think about what I do as Inviting in Light. During these sessions at your home or work space we will together offer a Ceremony to first gently shift any blocked or stagnant energy or patterns that wish to move on. Then with me offering a Music Meditation we will together move throughout your space from bottom to top, inviting in Light, Love, Angels and the grounding love of the Fairies and wee folk. This is a Light Ceremony where you are invited to join with me as we help to transform your space into one centred in Heart Vibrations. "I had recently moved and Debbie came over for a house clearing/light ceremony that involved sage, incense from her Temple, walking meditation, shakuhachi playing and her beautiful angelic voice. It was simply magical! Debbie radiates pure positive energy and is a true healer. I am so blessed to have her in my life"
The Labyrinth is an ancient Sacred Symbol that can be used for Walking Meditation, for Grounding, for Clearing and Balancing Chakras and for inviting in our Spiritual Guides and Angels. I have loved walking and offering my Music Meditations on the Labyrinth since the very first time I walked onto one playing my Shakuhachi. I have been the "Pied Piper " opening many Labyrinths including our lovely Trinity Labyrinth here in Toronto. In addition to playing at hundreds of Labyrinths, I also have my own beautiful portable canvas Labyrinth that I can bring with me to special events. I love teaching and have taught music all around the world starting when I was thirteen! I have taught groups, including teaching at the University of Toronto, but I prefer offering private lessons. Shakuhachi is a difficult but extremely rewarding flute. As it is a type of Zen it is a long term commitment. All of my wonderful students who have stuck with the Shakuhachi have been transformed energetically into beings full of love, light and life! We who play the Shakuhachi LOVE it! "It has been my great delight to have studied shakuhachi with Debbie Danbrook, over the last ten years. Her patience is endless (a good thing in my case), and her skill legendary. The shakuhachi has become a key part of my life over the years, and Debbie's teaching is the reason." Singing - I often hear from folks that they can't sing. I believe we ALL can SING! We all can find enjoyment and healing playing with the vibrations of our own, individual voices. Your voice is unique! If you have forgotten how to have fun and feel joy with your voice please join me for a session to transform how you engage with your voice! Both the Shakuhachi and Voice Lessons utilize a simple Breathing Technique that will be taught in the first lesson. I love offering these lecture/demos. I give a talk about my Spiritual Journey including stories about my adventures travelling and living around the globe. I give a short talk/demonstration about my amazing Shakuhachi flute. And then I offer a Music Meditation. I have been on several lecture circuits and have offered countless of these fun and informative events! I have hosted several breathtakingly beautiful Ireland Trips. I love Ireland and am Irish by descent. Travelling coast to coast is so easy - it is only a three hour trip! We travel to Sacred Sites and incredible landscapes with the Shakuhachi flute being our "Pied Piper" on these trips. Please contact me if you would like to hear more about a future adventure in Ireland. I am now an ordained Reverend and Deaconess. I officiate at Weddings, Memorials, Celebration of Live Ceremonies and all types of private functions. 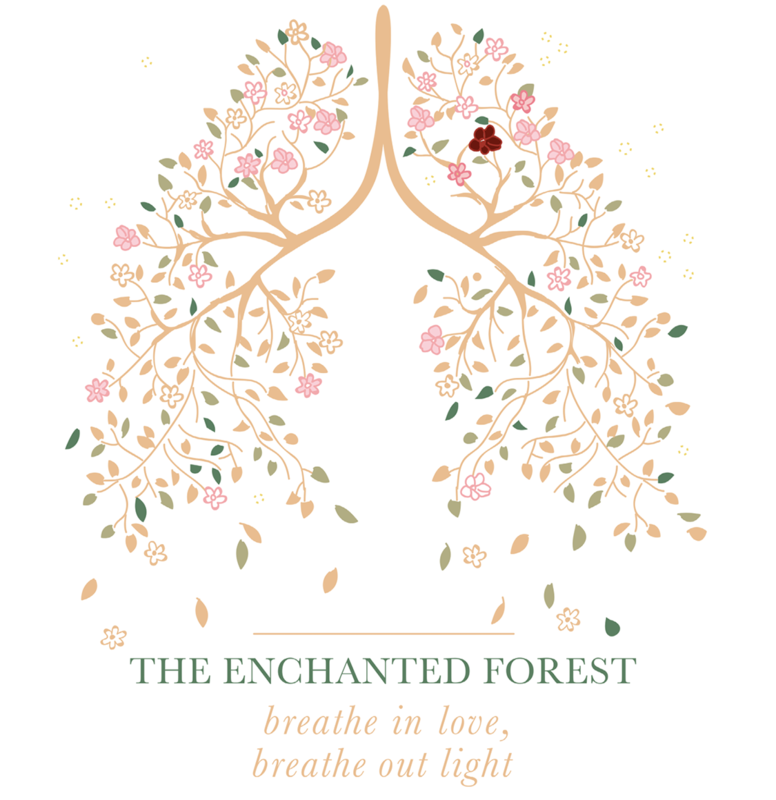 I offer many different types of Workshops including Healing Music events, Labyrinth Walks, Walking Meditation and Enchanted Forest events...and many more. I have played at beautiful retreats all throughout North America including years of events at Grail Springs in Bancroft, Ontario and the Red Mountain Retreat in Utah. I have co-facilitated retreats with Poets, Dancers, Labyrinth facilitators, Light Workers, Healers and many, many more. I have played at countless Conferences including ones for Therapeutic Touch, Healing Touch, Palliative Care, Nurse Practitioners, and the Labyrinth. In Galveston, Texas I played at a Healing Conference where I first met and played for Don Miguel Ruiz. I am the first woman to have been invited to perform and offer a workshop at the International Shakuhachi Festival in Boulder, Colorado. I have performed at some lovely Festivals including the very first folk festival in Kigali, Rwanda and also at many wonderful Canadian Festivals. All Healing Sessions, Mantra Sessions, Shakuhachi and Vocal Sessions are one hour long. Sometimes people will come to experience just one session or sometimes they benefit from monthly visits. Music Meditations are usually one hour long but can be any length to fit into any Healing Ceremony or event. House and Workspace Clearing/Light Sessions are three hours long. All other events can be whatever time is needed. ~ One hour Music Meditations are $500 for ticketed events and $250 for not for profit groups. ~ Japan and Ireland and England trips. The costs for each trip depend on the length of trip and the season of travel. Please contact me for a quote. In addition to my daily Music Meditations I arrange all the bookings for travel and accommodation and special events. Prices for each trip vary depending on single or double accommodation and of course flight costs. Please contact me if you have questions about any of the trips..
~ All Special Private Events that I am booked to play at have sliding fee schedules.